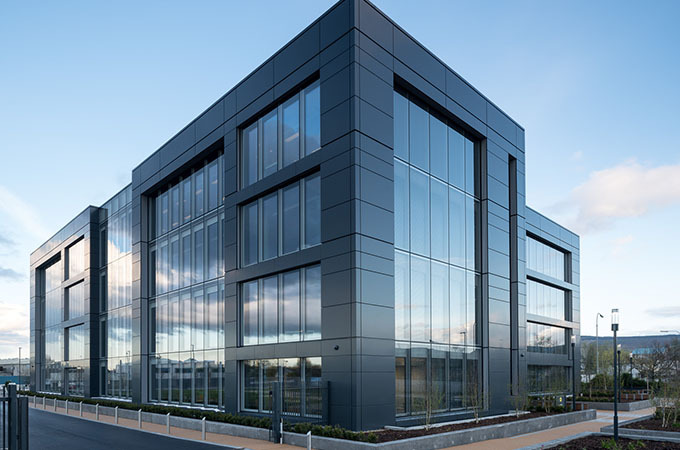 Alucraft were appointed as the glazing and cladding contractor for a new headquarters for LIDL Ireland. 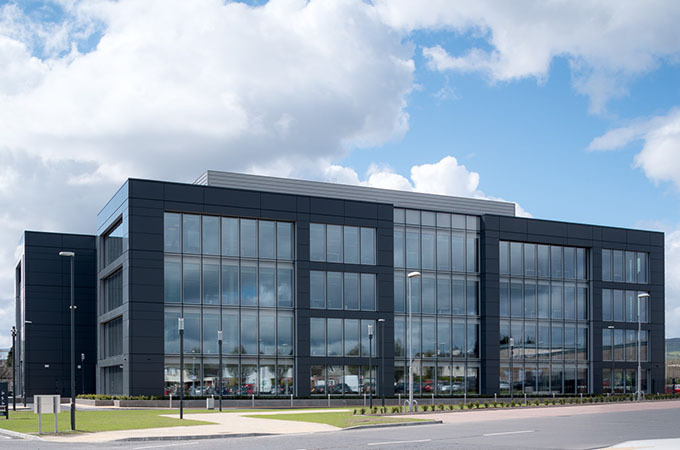 The development comprises of a four storey over basement building fully fitted out with offices, meeting rooms, and all associated facilities. 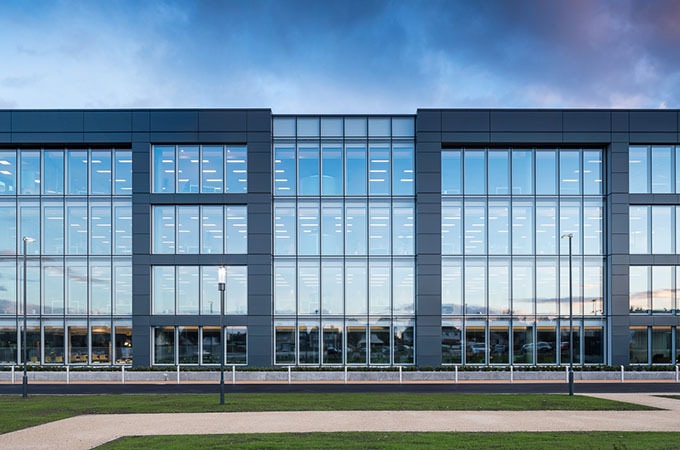 Works involved the design, supply and fitting of a fully ventilated and BMS controlled skinny twin-wall unitized façade, Alucobond rainscreen cladding, Raico roof glazing, smoke and natural ventilation systems. 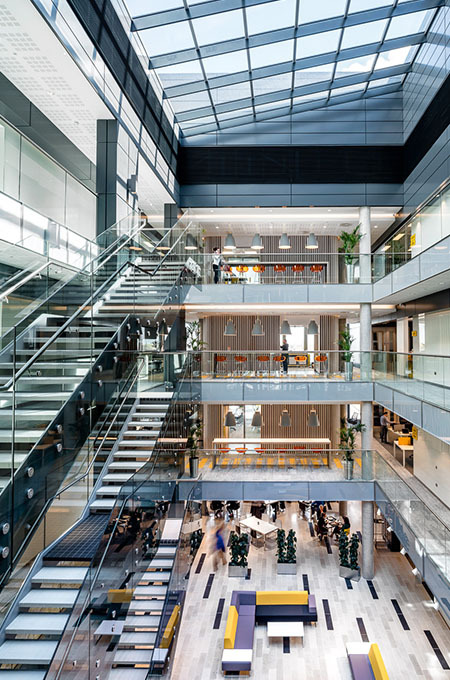 The building won Architectural Project of the Year in the Irish Building Design Awards in 2017.